Under increasing pressure from agitated city residents, the Carmel City Council voted Tuesday to abide by a judge’s order and make public various materials that it was provided by City Attorney Glen Randy Mozingo in his effort to combat published assertions that he falsified or exaggerated key elements of his resume’. Monterey Superior Court Judge Robert O’Farrell had issued a tentative ruling two weeks ago in which he sided with this writer, who had filed a public records lawsuit to compel production of the paperwork. Mozingo apparently urged the council to appeal the ruling but several Carmel residents appeared before the council to argue that the legal expense would not be justified and that delay in honoring the judicial order was eroding public confidence in the city attorney and the council itself. One of Mozingo’s deputies, Jon Giffen, announced after an hour-long closed meeting that the council had elected not to appeal as long as the final order signed by Judge O’Farrell does not significantly depart from the initial ruling. He said the materials would be made public within 15 days of the final order. Giffen and Mayor Steve Dallas refused to provide a breakdown of the council vote though the Ralph Brown Act, which governs government meetings in California, appears to require disclosure of the actual vote. Voices of Monterey Bay has published several articles challenging key portions of Mozingo’s resumé, including his claim of having received a Congressional Gold Medal. In paperwork he provided to the city while seeking the city attorney position, he also claimed to have won 136 jury trials while working as an estate planning and business formation lawyer, to have served as special counsel to Los Angeles Police Chief Daryl Gates for eight years, to be a member of the British bar and to have obtained a graduate degree in international law from Oxford. None of those claims could be verified. Mozingo also falsely claimed that he had never been sued for malpractice even though Orange County court records show that he had been sued for malpractice twice. Mozingo steadfastly declined to discuss any of those issues, and others, with Voices but met with the council in closed session in June to provide additional paperwork that he said would verify his claims. No one including Voices had ever challenged his membership on the London Court of Arbitration or his possession of awards from the National Republican Congressional Committee. 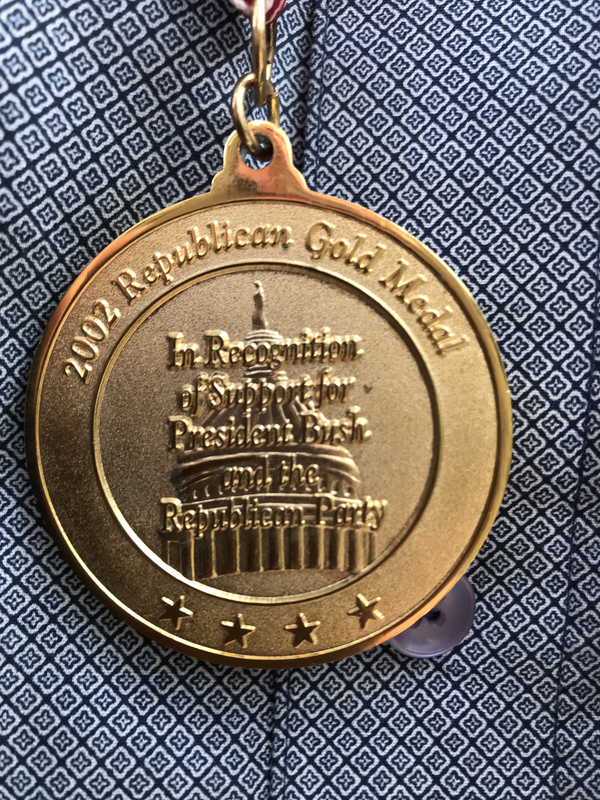 The GOP committee routinely distributes awards, generally as thanks for campaign contributions, but those awards carry none of the prestige of the Congressional Gold Medal that Mozingo claims to have received. Various lists provided by Congress show that he did not receive such an award. At Monday’s council meeting, a Carmel businessman displayed one of the GOP awards that he bought on eBay for $10. Production of the documents Mozingo shared with the council should solve the mystery over why Supreme Court Justice William O. Douglas would have sent him a letter of commendation. Mozingo began practicing law in 1979 after graduation from a San Diego law school. Douglas had retired four years earlier though he attempted to continue serving as a senior justice, a position the court does not recognize. He finally left the body in 1976 and died in 1980. At repeated council meetings, the council was confronted by residents urging it not to appeal. Several noted that the city’s legal expenses on the matter already exceed $20,000 and the judge is likely to order the city to pay Voices’ legal fees. Voices and co-plaintiff Transparency in Government were represented by Carmel lawyer Neil Shapiro, long considered one of the top First Amendment lawyers on the West Coast. Among those urging the council to release the documents were retired dentist Hugo Ferlito, mayoral candidate Gene Hughes, council candidate Jeff Baron, retired lawyer Chris Campbell, activist Georgina Armstrong, former mayor Sue McCloud and former council member Barbara Livingston, who said the Carmel Residents Association board had voted unanimously to oppose an appeal. Campbell, who once practiced with another assistant city attorney, Gerard Rose, argued that if Mozingo was continuing to advise the council on the issue, it amounted to a serious conflict of interest. Others suggested that if Mozingo wished to appeal, he should finance the effort out of his own pocket. Carmel Assistant City Attorney Jon Giffen mentioned that the decision to release the documents was cleared by the Monterey County District Attorney’s Office, which otherwise, he said, might have prosecuted city officials for violating rules governing the confidentiality of executive sessions. Later, in the meeting, after that requirement was explained to them by a member of the audience, a portion of the council returned to closed session to discuss the dictates of the Brown Act. At one point three council members were meeting privately, suggesting that the trio was violating the Brown Act in order to privately discuss whether they were in violation of the Brown Act. Those discussions led to a public vote in which four members agreed that Giffen’s interpretation of the law was correct. Councilman Bobby Richards dissented. Dallas and two council members, Carrie Thies and Carolyn Hardy, are up for re-election in November. Dallas and Mozingo are close political allies, so close that Voices predicted months ahead of time that Mozingo would be hired to replace the previous city attorney. Hardy has taken credit for recruiting Mozingo to the position and for researching and vetting his background. Those three council members plus Jan Reimers voted last month to extend Mozingo’s contract for five years, prompting considerable criticism over the cost and Mozingo’s decision to bring in two additional attorneys to handle a caseload that previously had required only one half-time lawyer. Only Councilman Richards voted against the contract extension. Giffen mentioned that the decision to release the documents was cleared by the Monterey County District Attorney’s Office, which otherwise, he said, might have prosecuted city officials for violating rules governing the confidentiality of executive sessions. He didn’t say what made him think the District Attorney’s Office would consider charging council members who were acting in accordance with a court order. Great result, Royal. I wonder if those papers will shed any light on the reasons why Hardy and Theis (it has been stated that Hardy is a close friend of Mozingo’s wife) so qucikly and so privately sought his services, and if those reasons had little or nothing to do with a close vetting of his experience and history, as clearly should have been done. Attorney. With staff help, we crafted and issued an RFP, received 16 applications, reviewed all 16 independently of each other, and to our surprise, came up with the same top three candidates. We recommended the Council interview all three finalists. Jan and I shared the work load, interviewed Mr. Mozingo’s references, and after Council conducted he three interviews, Mr. Mozingo was selected. It was a 5:0 vote. Where you come off saying I recruited him is flat out wrong and misleading your readers, what few you have. Don Freeman had pulled Mr. Mozingo in to help with the contracts language for SCC and Forest Theater management agreements. That was the first work that Mozingo did for the City, much to Don Freeman’s satisfaction. As as far as Mr. Hood’s gossipy comment goes, it is Sue McCloud who was (as in “past tense”) a close friend of Mrs. Mozingo, I know Heidi because she was our City Clerk during the McCloud reign of terror, but not closely.